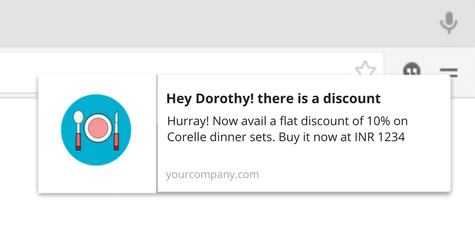 Drive 8-12% conversion contribution via the new free channel for user engagement - Browser Notifications/Web push. 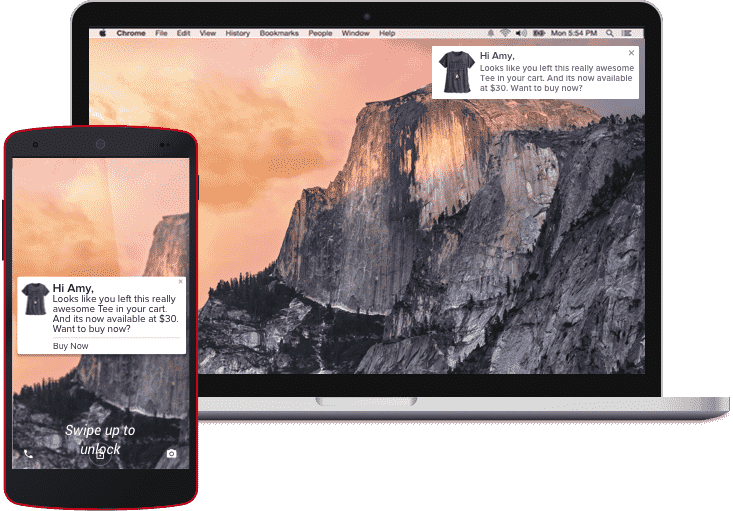 Web Push Notifications are highly customized to address specific E-Commerce use cases helping you reach, engage and convert your website users into customers. 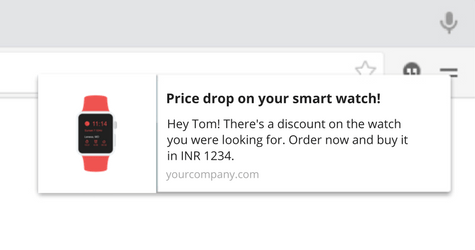 Users who've added products to Cart and dropped off will need a timely reminder to complete the transaction. Deep-linking the user to product or cart page reduces the number of clicks required to complete the purchase. 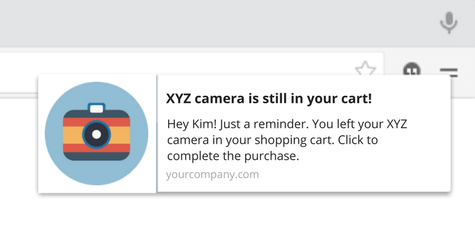 With event-based alerts, connect with your users at the right time.